Arrowroot earned its name because the Aruac Indians of South America believed it was the answer to an encounter with a poison-tipped arrow. Today, the herb is largely cultivated and harvested for its rhizome, which contains a starch known as fecula. In addition to its use in natural body powders, arrowroot is used to thicken foods. Maranta arundinacea is a large, perennial herb of the Marantaceae family found in rainforest habitats. It is cultivated for a starch obtained from the rhizomes (rootstock), which is called arrowroot. This perennial plant grows to about 2 feet tall, arrowroot has small white flowers and fruits approximately the size and shape of currants. The rootstocks are yellowish white, jointed and covered with loose scales. The name may come from aru-aru (meal of meals) in the language of the Caribbean Arawak people, for whom the plant was a staple. It has also been suggested that the name comes from arrowroot's historical use in applying to poison-arrow wounds, in order to draw out the poison when applied to the site of the injury. Maranta arundinacea is naturalized in Florida, but it is chiefly cultivated in the West Indies (especially Jamaica and St. Vincent), Australia, Southeast Asia, and South and East Africa. 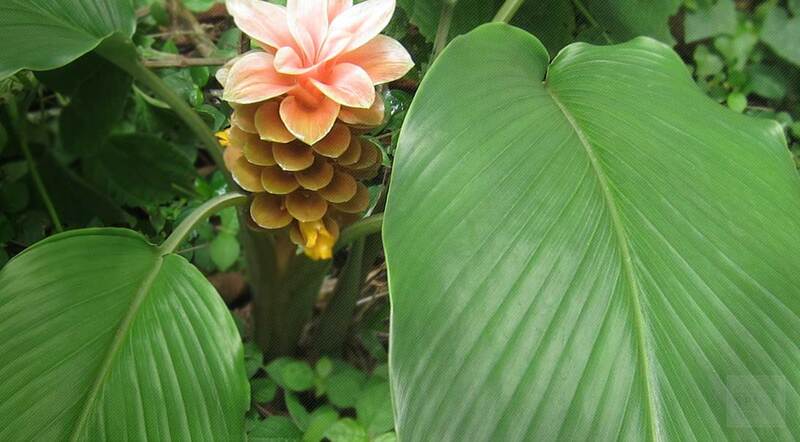 This plant prefers a tropical climate with sun to partial shade. Maranta arundinace a requires consistently moist soil; do not let dry out between waterings. Suitable for growing in containers. Maranta arundinace can be grown by dividing rhizomes, tubers, corms or bulbs (including offsets). The rootstocks (tubers) are dug when the plant is one year old, and often exceed 1 foot in length. Arrowroot tubers contain about 23% starch. They are first washed, and then cleaned of the paper-like scale. The scales must be carefully removed before extracting the starch because they have a bad flavor. After removing the scale, the roots are washed again, drained and finally reduced to a pulp by beating them in mortars or by using a wheel rasp. The milky liquid thus obtained is passed through a coarse cloth or sieve and the pure starch, which is insoluble, is allowed to settle at the bottom. The wet starch is dried in the sun or in a drying house. The result is a powder, the "arrowroot" of commerce. Pack the arrowroot powder in air-tight cans, packages or cases, store in a cool, dry place. Arrowroot (Maranta arundinacea) is an herbaceous perennial native to the tropical rainforests of the West Indies. 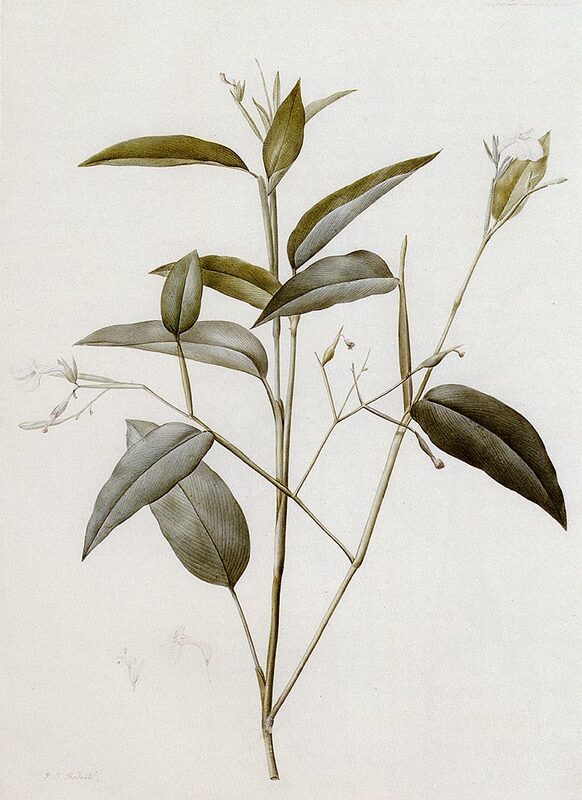 The plant is also cultivated in South Asia, Africa, Australia, and in the more temperate regions of the U.S., such as Florida, Georgia, and South Carolina. However, the majority of quality commercially grown arrowroot is derived from the island of St. Vincent. While etymologists continue to debate the exact origin of the word arrowroot, it is clear that the name is closely related to the original inhabitants that dominated the land now recognized as Haiti and the Dominican Republic since the 7th century. Unfortunately, with the arrival of the Europeans in the 15th century, the Taíno Indian population vastly declined, possibly progressing to the point of annihilation, as some experts believe. However, among many other legacies, these indigenous people left us with considerable knowledge of this herb, which they regarded as a culinary staple. For that matter, many language experts believe that the word arrowroot may be a distortion of aru-aru, which translates from the Arawakian language to mean "meal of meals." English households became acquainted with arrowroot by the early 1730s, where the powdered rhizome was often combined with water to formulate a substitute for mother’s milk for infants and later given to encouraging weaning from the breast. Older children enjoyed arrowroot dissolved in boiled milk as an alternative to farina. At one time, arrowroot played an important role in the early history of the papermaking industry. For instance, 19th century photographers eventually came to prefer the quality and color rendered from paper coated with a thin layer of arrowroot starch and sodium chloride (table salt) diluted in water as opposed to traditional albumen-treated paper. Arrowroot powder was also a key ingredient used in producing the first carbonless copy paper. Today, arrowroot powder is primarily used to thicken foods and as a healthier substitute for talc in cosmetics. In fact, it is very similar in appearance and consistency to cornstarch. We have also learned that arrowroot powder isn’t as nutritious as once thought. In fact, it is composed of little more than carbohydrates. Flour made from arrowroot starch is the perfect alternative for wheat flour when making baked goods. As such, it is still used today to make biscuits and cookies for teething infants and adults with digestive issues. Using arrowroot powder over other starches in cooking has additional advantages. For one thing, acidic ingredients have no affect on arrowroot, which makes it highly suitable for making perfectly clear jellies, glazes, and sauces made from fruit. Arrowroot also thickens foods at much lower temperatures than other starches without altering the food’s color or taste. It also holds up to freezing. In fact, when added to homemade ice cream, arrowroot prevents the formation of ice crystals. Arrowroot is also the preferred thickening agent when preparing meat pies, ala king, and other sauce or gravy-laden dishes intended to be frozen and reheated at a later date. The consistency of the dish will stand up beautifully to being reheated. In contrast, using other thickeners often produces unsatisfactory results when attempting to go from freezer to oven. Generally, one teaspoon of arrowroot powder is equal to one tablespoon of wheat flour and two teaspoons equal one tablespoon of cornstarch. In addition to the foods mentioned above, arrowroot may be used to thicken pie fillings, custards, puddings, dark hot sauces and, of course, used in making cakes, cookies, and other baked goods. Like other starches, arrowroot should be made into "a slurry" when thickening sauces and gravies—that is, mixed with a cool liquid before adding to a hot liquid. However, the arrowroot-thickened food should be removed from the heat immediately, whereas foods thickened with cornstarch or flour typically have to be returned to a boil to thicken.